The diesel engine has just taken another hit, and might not recover. In an effort to prove that diesel engine emissions don’t pose a health risk to the population, German companies BMW, Daimler and Volkswagen, along with supplier Bosch, funded an organisation called the European Research Group on Environment and Health in the Transport Sector, also known as EUGT. A few days ago, the New York Times revealed that the EUGT hired scientists to conduct studies aiming to defend the use of diesel engines, whose emissions were considered a carcinogen. One of those studies took place in 2014, in a laboratory in Albuquerque, New Mexico. Ten monkeys were installed in a chamber, watching television cartoons, while they inhaled fumes coming from a Volkswagen Beetle TDI. However, that particular vehicle was equipped with the emissions cheating device that Volkswagen admitted having installed in a recent generation of diesel-powered vehicles. In short, the monkeys weren’t breathing nearly as much nitrogen oxides than the population was, since the car detected that it was being testing in a laboratory. Still, the study was deemed inconclusive and was never published. According to a story published by La Presse, the EUGT also commissioned tests conducted on 25 humans, in Germany, who voluntarily accepted to inhale diesel engine fumes. It is said that this study was completely unrelated to the Dieselgate scandal, but was conducted to measure the effects of nitrogen oxide in the workplace. According to an article published by AFP, German scientists are claiming that researchers “have been performing tests for years on humans and animals to study the effects of diesel fumes.” Flemming Cassee, a toxicologist working for the Dutch National Institute for Public Health (RIVM), pointed out that “we’ve been doing this for years, and there is nothing extraordinary about it.” He added that other countries perform similar tests as well. The three automakers that funded the EUGT were apparently not aware of the extent of the studies, and obviously condemn testing on animals and humans. The Volkswagen Group understands its social and corporate responsibility and takes criticism of this study by the EUGT very seriously. We believe that the scientific methods used to conduct the study were wrong and that it would have been better not to undertake it at all. The Volkswagen Group explicitly distances itself from all forms of animal cruelty. Animal testing is completely inconsistent with our corporate standards. We apologize for the inappropriate behaviour that occurred and for the poor judgment of individuals who were involved. Regarding the matter in general: The European Research Group on Environment and Health in the Transport Sector (EUGT, Europäische Forschungsvereinigung für Umwelt und Gesundheit im Transportsektor) was founded as an independent research institute by BMW, Daimler, Volkswagen and Bosch in 2007, with all association members working together as equal partners. The EUGT also commissioned the U.S. Lovelace Respiratory Research Institute (LRRI) to conduct the study. The EUGT was dissolved as of June 30, 2017. At that time, the final results of the study were not yet available, and the project was not completed or published. In addition, according to a press release on the Volkswagen Group’s media website, the Board of Management suspended Dr. Thomas Steg, Head of Group External Relations and Sustainability. We expressly distance ourselves from the studies and the EUGT. We are appalled by the nature and extent of the studies and their implementation. We condemn the experiments in the strongest terms. Even though Daimler did not have influence on the study’s design, we have launched a comprehensive investigation into the matter. All of the research work commissioned with the EUGT was accompanied and reviewed by a research advisory committee consisting of scientists from renowned universities and research institutes – from selection through to the presentation of results. The study was commissioned on the recommendation of the EUGT Research Advisory Board. The BMW Group and Bosch have not yet issued an official statement. 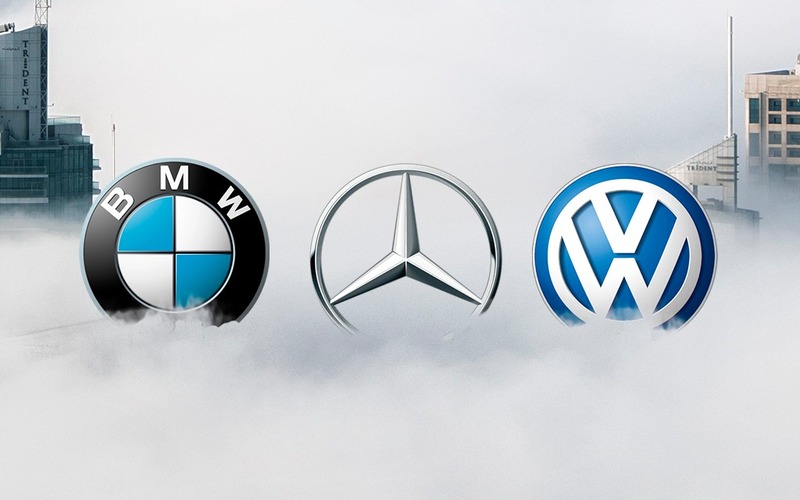 Since the Dieselgate scandal broke out, the TDI engines in all U.S. and Canadian Volkswagen, Porsche and Audi models have been removed, while Mercedes-Benz eliminated all the diesel engines in their models as well. At BMW, the only model left that’s available with a diesel is the 3 Series. In addition, all three companies have fast-tracked the electrification of their product portfolio with plug-in hybrids and full EVs.